There are two specific pieces of TRX training equipment used at Sand and Steel Fitness, the Suspension Trainer and Rip Trainer. 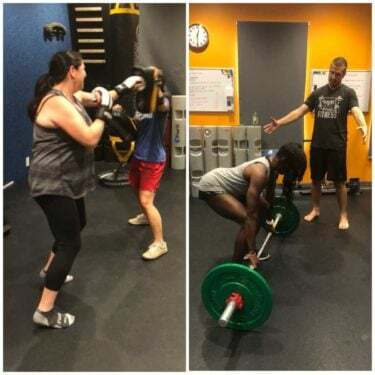 Our suspension training classes in Old Town Alexandria that feature these tools are very helpful to our clients at all stages of their fitness goals. Classes featuring TRX training equipment are held on Thursday at 5:30 at Sand and Steel in Old Town Alexandria, VA. This tool is effective for those who are out of shape due to its adjustability. While using the TRX Suspension Trainer a certain amount of coaching will be necessary because the movements itself are not self-explanatory. Over 70 different movements and 200 movement patterns are incorporated into the suspension training featured classes at Sand and Steel. 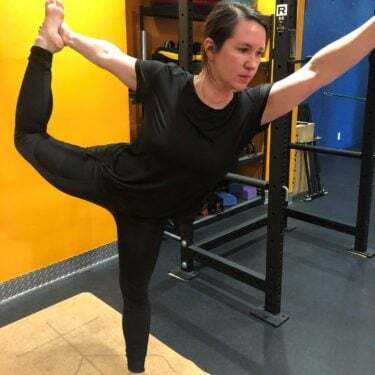 Exercises and classes featuring the TRX RIP Trainer (a metal pole and elastic band attached to a wall mounted anchor) are effective at building core strength as well as burning fat. This particular TRX product allows for plyometric training as well as twisting and resisting of twisting forces allowing core muscles to be activated. Issues may occur for those who are sensitive to high impact exercises when attempting plyometric training using the TRX. On the other hand, the normal shock of conventional exercises can be reduced with the assistance of the TRX RIP Trainer. 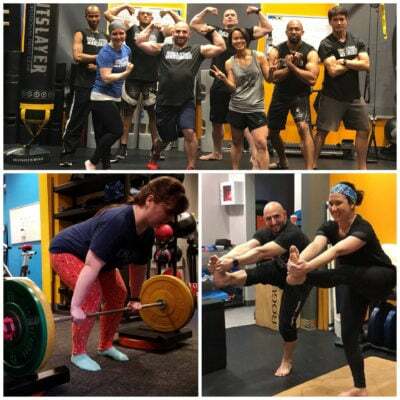 The focus of Sand and Steel’s core suspension training classes located in Old Town Alexandria, VA are to improve the natural range of motion in a timely manner using TRX, pulleys and rings. You will work as hard as possible for 30 – 60 seconds and then begin the next movement. The focus is on the exercise itself rather than the amount of reps to be completed. This is especially encouraging to those who are not as quick to complete sets because everyone finishes at the same time. Advance classes train at a higher level and therefore incorporate ring based movements including muscle ups and reverse levers. The different thicknesses of the TRX Rip Trainer cords allow for adequate adjustability in an up and down motion. 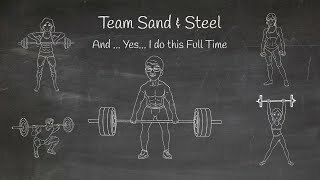 Join Sand & Steel today and experience all the benefits of TRX training in Old Town Alexandria, VA.